A few weeks ago, @isaacandsuch posted a great article about hiring junior developers. The article got me thinking about how extra hard it is for junior developers to find remote work. So I started a GitHub repo listing companies that hire junior developers for remote positions. This is a list of companies that hire Jr. Developers in remote positions. This is not a jobs board—the companies listed below may or may not have positions currently open. Please submit a pull request to add a company to the list. If you know of such a company, please submit a pull request (or message me directly) and I'd be happy to add it to the list! I still think that a junior developer would benefit greatly from having more experienced people in the vicinity, that he or she can ask for help. Being remote would mean would have to use Slack or some other messaging application to communicate your problems, which is often a problem for juniors, because they don't know yet how to explain the problem correctly or which terms to use. 1) Junior developers may live in a region with few-to-no tech opportunities, and relocation may not be an option for a number of reasons. 2) There are definitely companies willing (even enthusiastic) to tackle the challenges of hiring junior remotes. 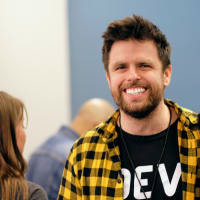 For example, DHH recently tweeted about Basecamp's great experiences hiring remote junior devs. My goal here was to create a resource that connects these two groups. I didn't want to imply that hiring remote juniors or getting hired as one is a big no-no. You have to weight your options. Getting hired remotely is still way better than not getting hired at all. This an absolutely great initiative you have started, helping junior developers find remote jobs! I want to ask you to add +1 company to your list, i.e. Scopic Software. Scopic Software is the world’s largest virtual company. Founded in 2006, we have grown consistently by delivering innovative, cutting-edge software products for our clients and creating an empowering environment for our employees. Currently, we have a team of 250+ professionals working remotely from 40 countries around the world. Here is our Careers page - scopicsoftware.com/careers/, where all our job openings can be found.